These are the first lines of a poem that many of us met for the first time in our schooldays – Alfred, Lord Tennyson’s ‘The Lady of Shalott’ (pub. 1833, rev. 1842). I’ve already blogged about the importance of choosing poems with a strong narrative when introducing children to poetry, so it’s little wonder that this tale of enchantment, love at first sight, and death, remains an English class favourite. In today’s post I’ll suggest a few creative ways to get a class excited about the poem and engaged with Victorian poetry from what may well be their first encounter with the period. 1. Retell the story in prose: Most students will be more familiar with prose at this early point in their literary education than poetry. That means there’s more to helping them understand a poem than glossing any unfamiliar words. Asking them to retell the story as a prose narrative will increase their familiarity with the poem and also provides a great opportunity to discuss as a group those questions that Tennyson leaves unanswered. What is this curse? Is it real or the result of the Lady’s unhappiness and isolation? What causes the Lady’s death? 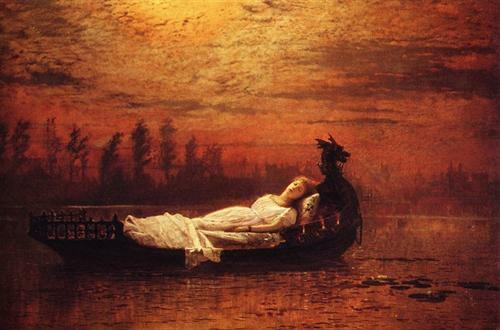 Can you think of any other examples of literary texts where singing and death are linked? 2. 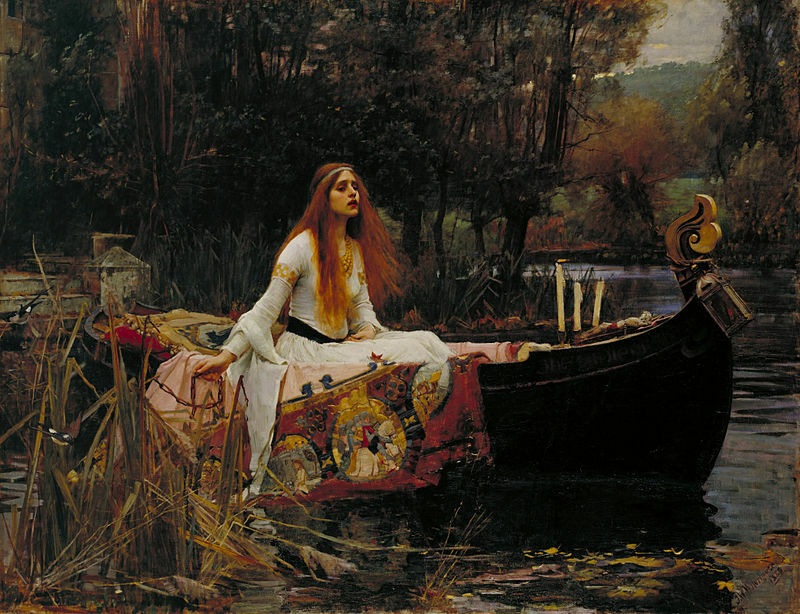 Write a Tennysonian stanza: ‘The Lady of Shalott’ has a distinctive rhyme scheme (AAAABCCCB). Ask students to compose a stanza of their own following this pattern – either on the subject matter of the story or on a topic of their choice. Engaging with the poem’s structure in this creative way will be a much more memorable experience than simply learning to letter the lines. And, what’s more, it’ll help students start to think about rhymes in the poem that are less than perfect. Does ‘barley’ really rhyme with ‘clearly’? Or ‘balcony’ with ‘by’? The appearance of Lancelot (‘All in the blue unclouded weather/ Thick-jewell'd shone the saddle-leather,/ The helmet and the helmet-feather/ Burn'd like one burning flame together’). 4. 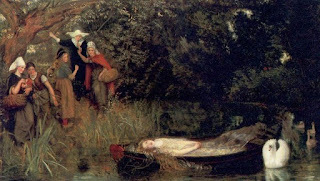 Create a soundtrack: ‘The Lady of Shalott’ is divided into four Parts, each with a distinct mood and subject matter. Have your students imagine they were making the poem into a movie. What songs/pieces of music would best accompany each section of the poem? Why? What if the movie was set in the twenty-first century? If you teach ‘The Lady of Shalott’, I’d love to hear about how you inspire your class! Let me know – here, on Facebook, on Google+, or by tweeting @SVictorianist. 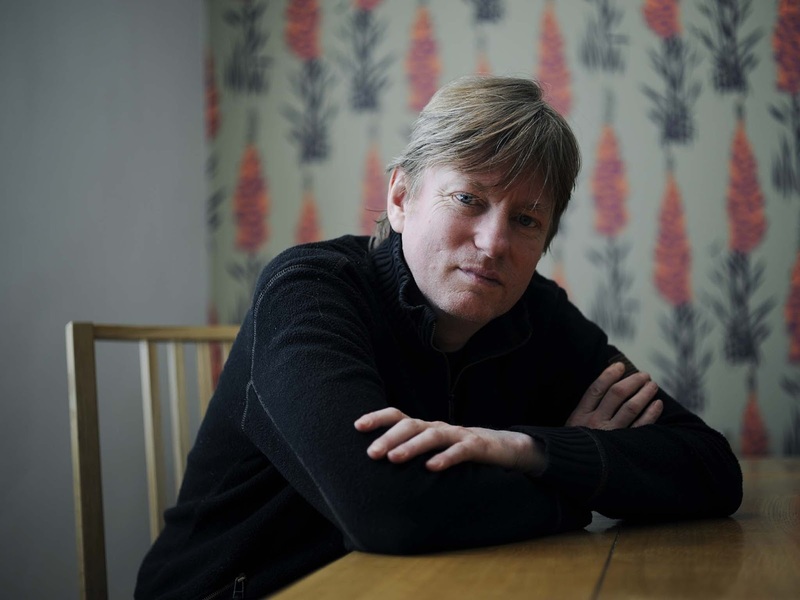 So begins Michel Faber’s epic story about a prostitute called Sugar who rises through the ranks of society in Victorian London. The narrator is right. While the city may be familiar to us from countless nineteenth-century novels, Faber shows us a side of Victorian life we have not seen before – sexually explicit and awash with all manner of bodily fluids, as well as filth. 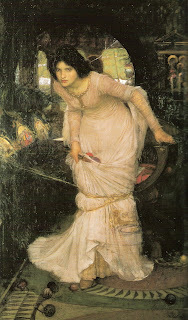 Perfumer William Rackham spends his first night in Sugar’s bed marinating in his own urine, while passed out in a drunken stupor; his young daughter still wets the bed every night; his wife is so ignorant about the workings of her own body that she believes she is set upon by demons and dying each time she menstruates. This is a world where servants must collect chamber pots of their superiors’ diarrhoea, where women douche with harsh chemicals as a contraceptive measure, and abortion is a dangerous and solitary endeavour, still slightly less risky than the trials of childbirth itself. It is these details that Faber repeatedly draws our attention to over some 900 pages, but our intimacy with his characters extends beyond this insight into their most private physical moments. Hopping from head to head – without ever letting us doubt that this is Sugar’s story – Faber crafts fascinating and complex characters. Particularly notable are pious Henry Rackham, William’s brother, and Emmeline Fox, the woman he loves – an advocate for the Rescue Society, whose liberal views on prostitution see her ostracised by wider society. Religion is a theme second only to sexuality in this novel, where the two are frequently thrown into fierce opposition. There is also a cast of lesser players – Dickensian in their vivid characterisation. There’s Bodley and Ashwell – a pair of permanent and debauched bachelors -, a scheming lady’s maid (a character type with a fine Victorian heritage), and an old man in a wheelchair who mans the entrance to one of London’s filthiest brothels, prophesying woe to all who will listen to him. Yet, while lovers of Victorian literature will love the personalities they meet along the way in the novel, they may face disappointment if they expect to find a clever and tight plot. There’s little scheming or intrigue here - the main character doesn’t even think to change her name to something more suitable when making the transition from whore to governess. Several major characters die or disappear with no resolution to their storylines and you can feel deprived of a sense of closure in the novel’s closing pages. This is a mood piece – a creative exploration of the darker side of Victorian London – with a fiercely feminist sub-text. Times are a-changing, the narrator reminds us. 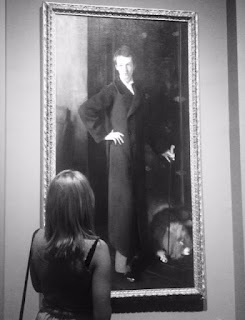 Men like William Rackham will see their industries depleted, their wives emancipated and their servants disappear over the next half-century. ‘All men are the same. If there is one thing I have learned in my time on Earth, it is this. All men are the same. ‘How can I assert this with such conviction? Surely I have not known all the men there are to know? On the contrary, dear reader, perhaps I have! 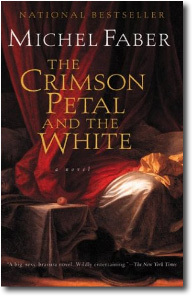 Which novel should be next in my Neo-Victorian Voices series? Let me know – here, on Facebook, on Google+, or by tweeting @SVictorianist! This wonderful exhibition, a collaboration between the Met and the National Portrait Gallery in London (where it has already appeared), shows the personal side to John Singer Sargent’s (1856-1925) portraiture. With virtuosic skill, and a graceful informality, Sargent renders the expressions of the friends and artists he associated with – at home or in his studio, but also caught mid-speech, mid-performance, and mid-song. The exhibition is extensive and, in each painting, there is something new to discover and admire. 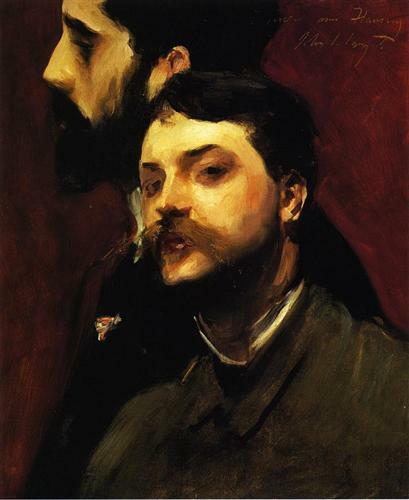 There is the dynamism of unusual double portrait of fellow artists Francois Flameng and Paul Helleu, the penetrative stare of Marie Louise Pailleron, contrasted with the movement suggested in her brother’s pose, the seductive charm of Madame X, which caused a scandal at the painting’s first appearance in 1884 (before her right-hand dress strap was repainted to position it securely on her shoulder). 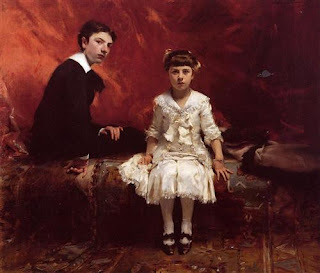 While it is the portraits’ execution that is most intriguing, their subjects too are notable, especially for lovers of nineteenth-century art, literature and culture. 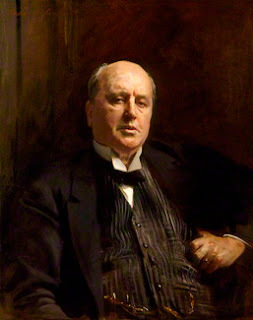 The exhibition includes Sargent’s paintings of close friend (and fellow American expatriate) Henry James, and writer of the supernatural Violet Paget, better known by her pseudonym Vernon Lee. 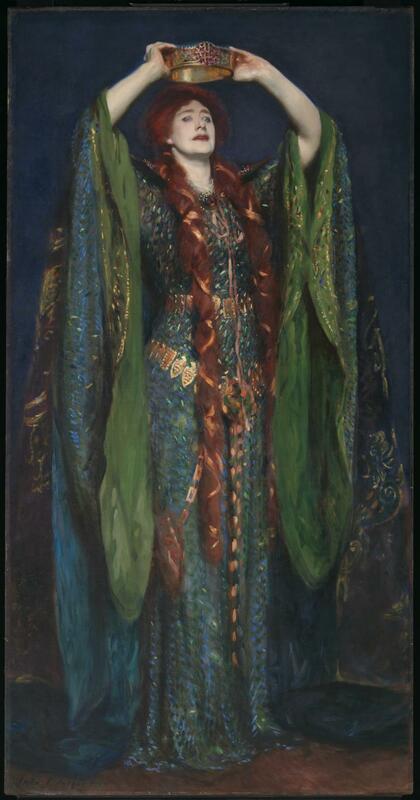 Also included is Sargent’s depiction of celebrated Victorian actress Ellen Terry, as Lady Macbeth, placing the diadem on her own head, while amateur singer Mabel Batten is also captured in the throws of a performance. Sargent, unlike many of his contemporaries was a proponent of Realism, and some of the portraits here do appear so lifelike you feel they could walk straight into the gallery today – such as that of gentleman gynaecologist Dr Pozzi or artist W. Graham Robertson – while others bear the hallmarks of the era’s interest in Impressionism. 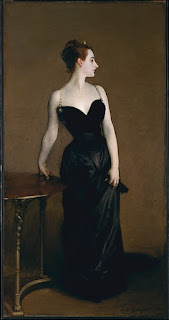 While Sargent suffered a decline in reputation posthumously partly as a result of his unfashionable Realism, today, in an age where instant digital photography is our primary means of capturing a likeness, the sight of such hyper-realism achieved through paint feels particularly impressive. These 90 portraits show as the personal side to the very private Sargent, rather than the masterful society painter at work. These people were his friends, his artistic circle, and his confidantes – and, thanks to his talent, they almost feel as if they could be ours too. Sargent: Portraits ofArtists and Friends will be on display at the Metropolitan Museum until October 4 (with General Admission). Do you know of any other nineteenth-century art exhibitions the Secret Victorianist should visit? Let me know – here, on Facebook, on Google+, or by tweeting @SVictorianist. August Strindberg’s 1888 naturalistic masterpiece is transported from Midsummer’s Eve in nineteenth-century Sweden, to New Year’s Eve in Putin’s Russia, in the Russian language adaptation of Miss Julie the Secret Victorianist attended last weekend. The eponymous Count’s daughter is now only child of an army general, and her sparring partner, Jean, is transformed from valet to chauffeur, while the third member of this triangle – Christine – is still a cook, albeit in a glittering stainless steel kitchen. Some elements of the setting work well. The class-based power play feels modern and doesn’t lose any of its impact, as, despite the changed context, some of the play’s concerns remain very true. 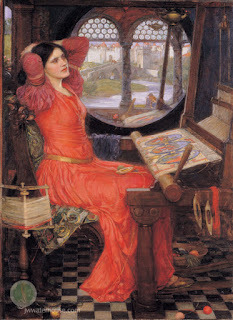 Julie parades her wealth (changing outfits, slipping in and out of her towering shoes) and her dominion (ordering Jean to join her in karaoke for instance), while the servant characters still believably have more than enough leverage of their own – their intimate access to their employers’ lives, Jean’s higher level of sexual experience, and the more visceral nature of their existence. The production opens with video – Christine prepares a chicken for cooking, a bird’s eye camera giving us a detailed view of the process – and as the production continues, the camera at times comes to rest on Julie’s face, subjecting her to the same kind of scrutiny and usage. Less successful is the presentation of the gender dynamics at work in Strindberg’s play. The total power shift towards the man which must come in the nineteenth century post-consummation, just doesn’t seem relevant here, and Julie’s reaction to losing her virginity seems disproportionate from a twenty-first century heiress, whose house is currently filled with gyrating and copulating ravers. Jean’s physical strength (he is even able to shut Julie in a freezer at one point in this production) becomes a proxy for the more complex workings of male privilege that were relevant in the 1800s, even when a woman was of a higher class than her lover. Chulpan Khamatova, as Miss Julie, and Evgeny Mironov, as Jean, are well-matched in director Thomas Ostermeier’s production, and I always found myself drawn to watching them deliver their lines and react to each other, even when reading the English supertitles. The set too, worked well - the rotating mechanism and dividing screen allowing for some concealment and variation, even while maintaining the claustrophobic feeling of Strindberg’s original single setting. Provocative in its time, Miss Julie is still thought-provoking, engrossing, and affecting, today. I’m not sure, due to Julie’s insufficient motives (described above), that this production ever quite attained tragic heights, but I’d still strongly recommend it. Do you know any other nineteenth-century plays currently on stage in New York? Let me know – here, on Facebook, on Google+, or by tweeting @SVictorianist. 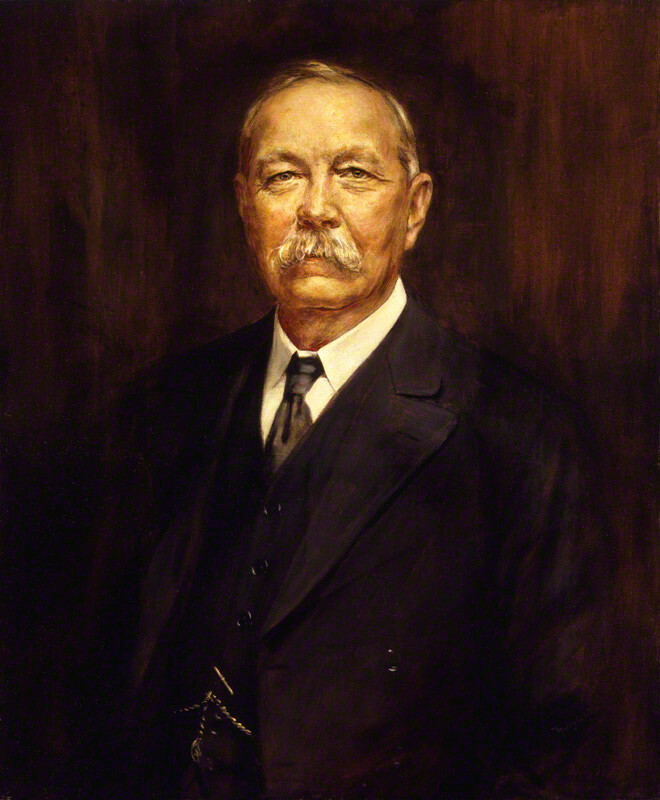 In an article published in January 1898, in Munsey’s Magazine, Arthur Conan Doyle was the latest in a series of contemporary big names to write about his favourite writers and books. The novel he talks about as his particular favourite – containing more ‘accurate knowledge and ripe wisdom and passionate human emotion’ than any other – was Charles Reade’s 1861 historical romance The Cloister and the Hearth. Over the last couple of weeks, I read Reade’s classic to discover why it garnered so much praise in the nineteenth century, from Doyle and others, and to spot any clues as to why, since then, it has fallen into relative obscurity. Less palatable to a modern reader than this mantra of shared humanity, however, is the moral assumptions that lead to the novel’s conclusion. Doyle writes of the novel that ‘such an indictment against celibacy of the clergy has never yet been penned’, yet, for a modern reader, Gerard’s prioritisation of the priesthood over his wedding vows is more difficult to understand – prompting not, as presumably intended, critical feelings towards the Catholic Church, but rather extreme irritation with the novel’s apparently admirable characters. This in turn has a negative effect on the novel’s ability to evoke pathos. Doyle writes of one deathbed scene ‘the man who can read that chapter with dry eyes is a man whom I do not wish to know’, but a reader today might be inclined to dash his or her head at a brick wall, rather than to cry, so frustrating is the religiosity. It’s all a question of degree. 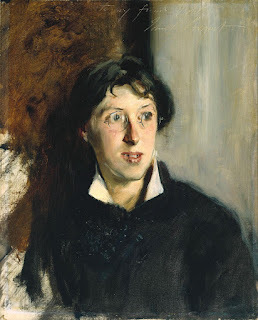 A Victorian reader might sympathise with Margaret’s helpless and ambiguous position, and think she would be well suited to the role of clergyman’s wife. Yet a reader now might take exception to the very assumption of her inferiority (the phrase ‘I am but a woman’ appears in the novel 11 times). What’s interesting in this is the parallels I find in how writers now approach the nineteenth century. In my Neo-Victorian Voices series, I’ve seen how twenty-first century writers respond to the late 1800s as a period just on the cusp, focusing on the advent of evolutionary theory, women’s education and suffrage movements, and questions of race and colonialism. Victorianism is a period of relative darkness for us – a dangerous world in which are own social concerns can be played out by novelists – just as the Middle Ages fulfils that role for Reade. The Cloister and the Hearth is probably only a handful of people’s ‘favourite’ novel today, but it’s a well-written book, that reveals as much about the period in which it was conceived as it does about the time in which it was set. What novel would you like to see the Secret Victorianist read next? Let me know – here, on Facebook, on Google+, or by tweeting @SVictorianist.